Babies are little curious, perceptive and beautiful creatures. They react instinctively to all impressions from the surrounding world and absorb them. There are times when your baby is restless, and as new parents we always want to give our baby both security and calm. It’s not always possible to feel calm, neither for you nor your baby. But if you can find calm and be at peace with yourself, you will give your baby vital nourishment in the form of security, presence and trust. This guided musical meditation is for you. When your baby feels that you relax, your baby will relax too, knowing that he or she is in safe hands. And when you relax together, you find that connection that is always there between you and your baby, but which can be difficult to find during a day full of demands and expectations. 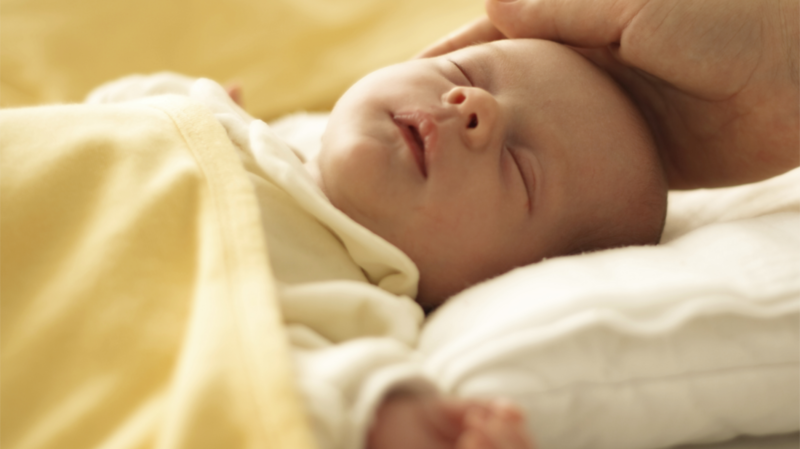 Your baby hears your soothing words but feels and projects your feelings and your mood even more powerfully. If you are stressed or full of doubt, your baby will feel troubled and start crying. If you are at peace with yourself and feel safe, then you will see smiles, gentle babbling and tranquility from your baby. With this guided meditation, the feeling of inner calm and balance will spread inside you and so, you are helping both yourself and your baby feel joy by just being together in the moment.